I LOVE cooking. It's just FUN!! Kind of like science meets art, dontcha think??? Anyway, of all the time I spend in the kitchen, making bread is by far my favorite thing to do. Oh yes, I ADORE desserts, but there is something so satisfying about homemade bread. Maybe it's the flour that covers my apron when I'm finished, or the time I can spend thinking about anything and everything (or nothing at all) in the world while kneading the dough. It's relaxing and homey and just plain old FUN for me!!! This is currently (notice, I said "currently") our favorite bread. However, I have been making this for about 6 years now. It's delicious right out of the oven slathered with butter (we are SO into Kerrygold right now! DELIICIOUS!!! ), perfect sliced for sandwiches, GREAT as buttered toast, and, oh yes, most excellent as French toast. Where did I get this bread recipe? Allrecipes!!!! It's my favorite recipe source online. For this one, I actually stick by the recipe!! SHOCKER!! I do use extra light olive oil in the bread, however, instead of just vegetable oil. No big differences, though. Mix salt and oil into the yeast. Mix in flour one cup at a time. Knead dough on a lightly floured surface until smooth. Place in a well-oiled bowl, and turn dough to coat. Cover with a damp cloth. Allow to rise until doubled in bulk, about 1 hour. Punch dough down. Knead for a few minutes, and divide in half. Shape into loaves, and place into two well oiled 9x5 inch loaf pans. Allow to rise for 30 minutes, or until dough has risen 1 inch above pans. Y'all please let me know if you make it. 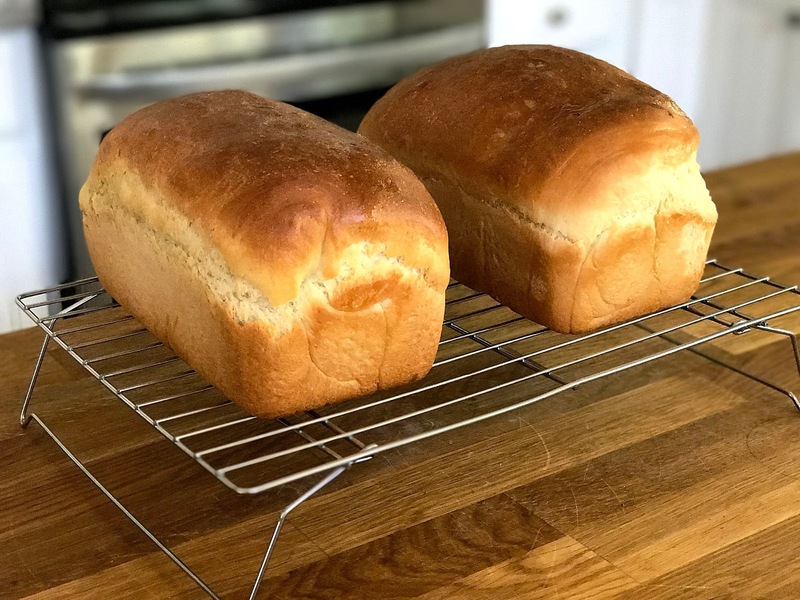 And PLEASE share YOUR favorite bread recipes!!!!! I'm with you, Wendi!!!! As long as I don't touch I the first day, I'm good. Lol. If it's hot out of the oven and I get a slice, I'm a goner. Haha!!! Could you use butter in place of the oil for a richer flavor? I haven't tried using butter instead, but I THINK if you melt the butter then you'd get the same results!! Hmmm... you have me curious now!! 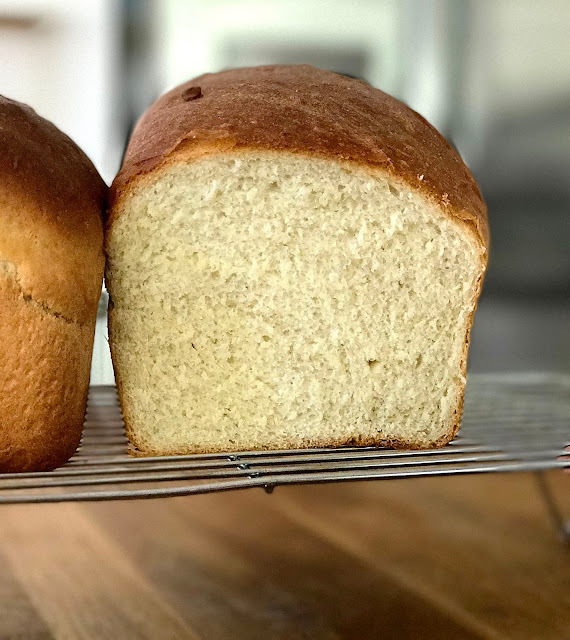 I think I'll give this a try this week when we make our family's bread!! Thank you! 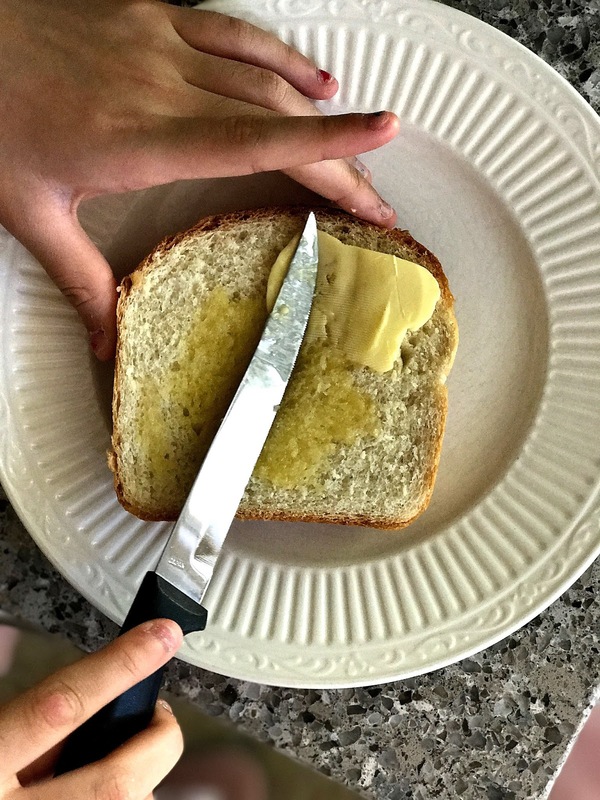 I used softened butter in place of the oil and kept everything else the same and the results were wonderful! Thank you for our new go-to family bread recipe! !